This may or may not become a regular thing. We spend wayyyy too much time in the lab laughing at the caterpillar photos we take (photography is a regular chore around here). What can I say, they are silly creatures. So if we take any that are worthy of captioning, I’ll share. 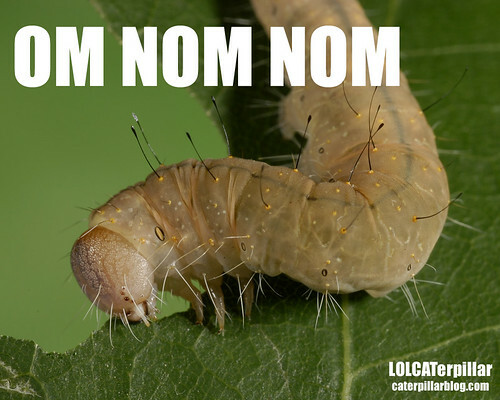 Posted on September 15, 2011, in Acronicta, Acronictinae, Invertebrates, Lepidoptera, LOLCATerpillars, Noctuidae. Bookmark the permalink. Leave a comment.